U.S. Hispanics tend to live longer than non-Hispanics despite many circumstances that negatively affect Latino longevity. This is a fact that continues to puzzle the medical community. On the surface it does not make a lot of sense. Hispanics, for example, are more prone to illnesses like Diabetes and often suffer from high cholesterol. While the Latino diet varies from country to country, most of the cuisines pay little attention to health implications and Latinos continue to use unhealthy ingredients like fatty meats and animal lard. More alarmingly, Latinos in the U.S. have inadequate access to healthcare services / information and most of the new immigrants lack health insurance. Latinos are also more likely than non-Hispanics to avoid going to the doctor and to not engage in preventive care. So how is it, one must ask, that we generally live longer? Here are some plausible explanations based on my own qualitative research exploration. It is a well known fact that Latinos are generally more laid-back than non-Hispanics. It is also a scientific fact that by not stressing over issues our bodies are more able to fight diseases and remain healthy. My paternal grandmother is a great example of a wonderful person who knew the importance of taking it easy. She passed at the age of 102 with her laid-back outlook of life completely intact. I always tell the story of when the whole family gathered to celebrate her 100th birthday. I was unable to travel to Puerto Rico with all of my children and abuela wanted to hear how her great-grandchildren were doing. She sat next to me for lunch (I remember her having a large piece of steak) and said “I may have asked you this already and I’m sure I will ask it again; you will just have to deal with that; how are the children?” Despite her age she remembered the names of my children (I had four at the time) and asked about them my name. In trying to recall the name of my ex-wife she got confused; I recall that at that point she closed her eyes briefly and said; “it is not that important to remember everything; is she still being difficult?” My abuela knew how to avoid stress; and that kept her healthy despite being blind as a result of her Diabetes. The tendency to take it easy in life have often been criticized by those who find the mañana attitude inefficient; but it may very well be the key to a long and happy life. 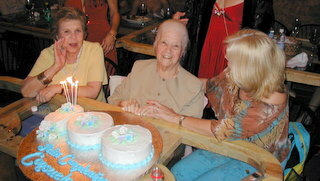 Abuela at her 100th birthday! My mother, who is 82, lives in Miami where most of my family now lives. Despite the fact that she has many family members and friends there, she often laments not being able to live closer to me (we live in New Jersey) so that she could help us out. I invited her to come over for a few days next month because she really wants to see the grandchildren; yet she forewarned us already saying that she is not coming on vacation. She said: “Last time I was there you were catering to me all the time and I did not feel useful; I may be old but there is still a lot that I can do, so start thinking of some things that I can help with while I am there.” Latino seniors demand to be a part of the family and work hard to make real contributions to the family. This cultural tendency makes Latinos feel needed and useful in their old age; and having a purpose in life is usually linked to longevity. I have written here before about the Latino fear of death and how it is not as much a fear of the unknown as it is the fear of leaving loved ones without adequate support (See Here). Not wanting to die has been proven to be a key to staying alive. The simple desire of wanting to stay in this world in order to support the family may be a potent contributor to Latino longevity. 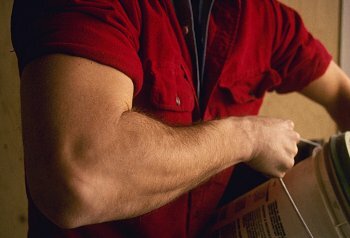 While Hispanics may not be as much into exercise and physical fitness as their non-Hispanic counterparts; most Latinos exercise more than non-Hispanics because they are more likely to work in blue collar jobs that require them to be physically fit. One of the characteristics that is generally shared by all Latino sub-groups is something that Hispanics call “chispa” or Latino wit. Latinos will agree that they know how to have fun. Latino gatherings always include music, storytelling, joking, dancing, and tons of laughter. And Latinos gather very often; at the very minimum Latino families get together for parties every weekend. Laughter is known to trigger the release of endorphins, our body’s natural painkillers. Sharing with family and friends also produces a general sense of well-being that contributes to a healthy lifestyle. This is not to say that there is no drama or stress in a Latino gathering; there definitely is. But in my experience doing ethnographic work with Latino families I have witness the positive effects of music, dancing, and laughter. The Latino tendency to have fun is a very strong antidote to the disease ridden stress and negativity that often permeates our American society. We are not paying enough attention to Latino education! All Latino children have a right to be educated. It is the law. Many Americans have argued otherwise because they feel that the children of undocumented [illegal] immigrants should not have the same rights as the children of legal residents and citizens. This line of thinking, however, does not match what our society dictates. If the children of undocumented Latino immigrants were born in the U.S., they are citizens by birth according to the U.S. constitution and entitled to the same educational opportunities given to any other U.S. citizen. If they were born outside of the U.S., they are also entitled to the same education rights according to the U.S. Supreme Court. [In Payler v. Doe it was determined that children of immigrants cannot bear the responsibility for their parents decision to come to the U.S. because they had no control over that decision.] Let us then agree that, according to our social system, all Hispanic children have a right to be educated- regardless of their immigration status. I’ll take that one step further and say that it is not only a matter of legality, it is a matter of necessity. Latino children are an increasingly large percentage of the U.S. children population and their educational attainment will undoubtedly affect the future of our country. I hope you will agree that it is important to pay attention to Latino education; now the question is, are we succeeding in educating Latino children? Many experts feel that we are failing miserably. Latinos are not at fault. A combination of factors place Latino children are a significant disadvantage compared to other ethnic groups when it comes to education. The statistics show that Hispanic adults have very low levels of education compared to other ethnic groups. According to the U.S. Census Bureau, 60% of Hispanics age 25+ were high school graduates in 2004, compared to 89% of non-Hispanic Whites. The parents’ lack of education places the Latino children at a disadvantage. The U.S. Department of education says that the parent’s level of education directly affects their children’s academic performance. Hispanics are poor. According to the U.S. census, the poverty rate of non-Hispanic White children in 2005 was 14%. In contrast, the figure was twice as high for Latino kids- 28%. Poverty means that Latinos have limited resources. What happens if a child cannot see the board in class but does not have a way to obtain eyeglasses? How does coming to school hungry affect their education? How about not having access to healthcare and coming to school with ear infections that go untreated? From lack of prenatal care to growing up in a home without educational toys and books; poverty greatly affects the children’s academic performance. While Hispanics care very much about giving their children the opportunity to succeed, most new immigrants lack a very basic knowledge of what it takes to become successful. I grew up in a household where I was expected to go to college and was constantly reminded that succeeding in life was a very attainable goal. I had good role models. My father grew up poor in a small town in Cuba but managed against all odds to study at the University of Havana and to start his own business when he was still in college. Most Latino children are not that fortunate. Many Hispanic immigrants struggle to make ends meet and do not understand how the American system works or how to guide their children to succeed. Latino children also lack role models in their community. They often live in poor neighborhoods that do not offer the opportunity to relate to successful individuals that can encourage and support their educational achievement. Even sports coaches and other leaders that work with Latino children often lack the ability to guide them appropriately. Hispanic parents do not understand the importance of parental involvement. They do not know that in this country everyone has the ability to get involved and even battle the public education system. My daughter, who is turning four next month, has speech delays. My wife and I had her tested at an early age and she was receiving publicly funded speech therapy since she was two years old. When she turned three we enrolled her in the public school preschool for special needs. This year we noticed that she was not progressing adequately with the speech teacher that was giving her therapy twice a week. My wife argued about her lack of progress and backed everything up with copies of all communication with the teacher. After meeting with the school principal and the case manager we succeeded in getting her assigned to the best speech therapist in the building. Latino parents do not know that they have the ability and the right to advocate for their children that strongly. They often see the school as a distant and powerful institution that “knows” what is best for their children. They are also intimidated by their own lack of education and many who are undocumented do not feel they have a right to get involved. 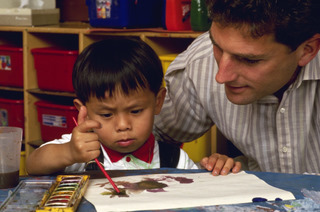 The lack of Hispanic parental involvement is evident in many public schools. Teachers often complain about not being able to communicate with Latino parents and about their lack of participation in school activities, not providing student homework support, and not attending parent-teacher conferences. Parent associations like the PTA also have a hard time recruiting Latino volunteers. The problem is that many Hispanics lack very basic information regarding how the American public schools work. They do not think that it is right to participate because by doing so they feel they would be perceived as going against the school system. I am often told by Hispanics that I interview that they feel inadequate questioning the school on matters regarding education and believe that the school would think negatively of them (and their children) if they do so. Latinos often live in neighborhoods that are dangerous. Safety concerns results in Latino children not participating in extracurricular activities that would necessitate coming home late from school. Drugs and gangs create negative social pressures that drive underachievement. It is a documented fact that children who succeed in school often hang out with other children who are also high achievers. Latinos do not have the opportunity to relate to high achievers in their poor neighborhoods. Sending children to preschool is not the norm in the Latino community; yet many experts have argued that a preschool education is crucial in a child’s academic success. This is especially true if at this early age the children do not have good educational opportunities in their home environment. Hispanic immigrants tend to be very hard workers. They often work hard with the hope of being able to provide a better future for their children. Unfortunately, Latinos often work long hours or at more than one job. Many mothers are single mothers who cannot afford not to work outside of the home. The children find themselves at a disadvantage because they do not have the ideal level of parental support. There is a high correlation between student school performance and their participation in extra-curricular activities. Unfortunately, Latinos students tend not to participate in extracurricular activities because of safety concerns (as mentioned earlier), lack of transportation, and lack of parental support. Those who try to join find that most clubs and sport activities are made up mostly of non-Hispanic Whites and feel out of place being there. This is by no means a comprehensive list of Latino educational disadvantages. There are many other issues that affect Latino education. If you are interested in this important subject I highly recommend the book The Latino Education Crisis, by Patricia Gándara and Frances Contreras. It is an extremely well written and researched call for action on what they identify as a national crisis. I would like to close this post by quoting a paragraph from this book. As a group, Latino students today perform academically at levels that will consign them to live as members of a permanent underclass in American society. Moreover, their situation is projected to worsen over time. But as alarming as this is for Latinos, it is equally so for the U.S. population as a whole; neither the economy nor the social fabric can afford to relegate so many young people to the margins of society. How can Latinos believe in life after death and still be so afraid of death? As I celebrated Easter today I meditated on the meaning of the resurrection. While interviewing Latinos over the years I have heard many respondents tell me about their devotion to Jesus Christ, the importance of the resurrection, and their faith in life ever after. What may not make a lot of sense at first glance is that, while Hispanics believe strongly in life after death, they also have a dumbfounding fear of death. The fear of death is very strong in the Latino community. It is a subject that everyone loves to avoid. Yet, the Hispanic reasons for fearing death may be different from those of the general population. Latinos generally believe in life after death. The actual fear of the unknown- which is predominantly the reason why most people fear death, may be to some extent addressed in the Hispanic community by the religious beliefs Latinos hold regarding the afterlife. In fact many Latinos, especially those of Mexican origin, see the afterlife as an end to their Journey of suffering. Mexicans often see death as the promise of life. In fact, the popular Mexican holiday Día de Los Muertos (Day of the Dead) is a celebration of life. 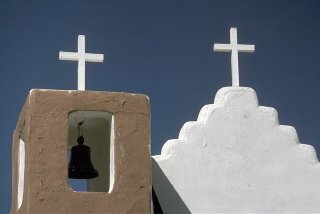 The subject of death is also addressed by religion in other Latino subgroups. In the book Transitional Villagers [Peggy Levitt “God Is Everywhere- Religious Life Across Borders” (University of California Press, 2001) p.159] the author relates the story of the Dominican immigration to Boston and the Latino strife to maintain their religious beliefs. “Death is viewed as a transition to another place where the deceased, who is present in a different form, can be visited, consulted, and petitioned.” She goes on to say that the inability of Dominican immigrants to visit their diseased relatives at the cemetery in their homeland makes dealing with death much more difficult. The fear of not accomplishing the person’s life mission. In research I have conducted on this subject Latinos appear to regard death as the ultimate deadline. They see themselves as being placed on earth for a reason, and see their death as the ultimate deadline before which they need to get their life’s purpose accomplished. Religion also plays a large part on this fear. If God brought them to earth with a mission, and they procrastinate or somehow get derailed in doing whatever it is that they feel they are here to accomplish, what will happen when they have to face God? The physical and emotional suffering one may have to endure as death approaches. Latinos also worry about how much they may have to suffer with a terminal illness, accident, or other condition leading to their death. Many Latinos, however, view suffering as a necessary evil and mainly worry about how their suffering will affect their family (see below). The effect that death may have on the individual’s family and loved ones. Most Latinos worry the most about being responsible for the suffering of their loved ones. Their own suffering could be justified as the road to salvation, but in their view they cannot justify inflicting suffering on others. They constantly worry about how their death will affect their family. In my research I have also learned that moving away from a religion that is largely centered on suffering presents an interesting conundrum for Latinos. In their upbringing they learned that salvation is reached through suffering, yet in the American society they are learning that it is not necessary to suffer. In fact, many Latinos came to the US looking for the American dream- a dream that has little to do with suffering or with life after death. Searching for heaven on earth and striving to reach eternal life are not compatible goals for many Hispanics. Their ingrained religious beliefs from generations ago still linger. In the minds of many Latinos, not suffering in this journey may compromise the hereafter. At that point, the fear of the unknown resurfaces. Generally, however, Latinos can believe in life after death and still fear death because the fears are not usually based on a fear of the unknown. If you are not Hispanic or are not enthralled with the Latino culture you may think that the concept of Machismo is an American stereotype of the quintessential Latino man. There are many misconceptions regarding Latinos; but the concept of Machismo is definitely not mistaken- it is real! There are, however, many different ways to describe Machismo. To many Latinos it is simply the belief that a real man needs to strive to be the most manly he can possibly be. The word machismo comes from the word “macho” or male; and it is often defined as exaggerated manliness. In Latin America it is common for “the man of the house” to be portrayed as the master of his domain. Latinas do not disagree; because in the traditional Latino family the man is supposed to be in charge. A Latina wife wants her husband to be also seen by others in the community as manly. As a result, most Latinas that I interview say that their husband is the head of their household. Further probing often paints a different picture; but the pretension is always to uphold the male’s position of dominance. There is a fine line between Machismo and male chauvinism. One thing is to pretend that the man is always in charge; while a very different situation is to actually have a man dominating a woman. In my interviews with Hispanics I have witnessed many instances of Machismo crossing over to the realm of chauvinism; but those cases exists across all cultures. The Machismo that I feel is unique to the Latino community is the cultural acceptance of the pretension by both males and females that the man is actually in charge. This charade goes on in the U.S. Hispanic community despite the fact that Latinas in this country have managed to move away from the cultural tendencies of Marianismo(1). Why then do we continue to ensure that machismo stays alive by exaggerating the male manliness in the Hispanic behavior? I have a theory. We rely on Machismo because we (Latino men) are too emotional. Being emotional is not considered a particularly manly characteristic. The fact that Hispanic men are emotional is no secret; it has been very well documented and is often portrayed in the media as a typical Latino male point of difference from non-Hispanic men. In fact, just yesterday I was watching the movie Spy Kids with my daughter and was reminded of how far Hollywood has gone in substantiating the fact that Latino men cry. At the climatic conclusion of the movie, the father character (played by Antonio Banderas) meets his long lost brother- a rough macho man played by Danny Trejo. In the exchange Danny’s character sheds a tear, at which point the brother comments in a comical fashion “Latinos!” I laughed at that when I saw the movie for the first time in the theater, and I laughed again yesterday. How true! I remember my father telling me as a child not to cry because “men do not cry.” Men may not cry in other cultures; but Latino men have trouble separating themselves from those darn Latino emotions. My father was not one to preach about not crying, because he would get emotional with something as mundane as watching a parade! But he countered his emotional nature with a good dose of Machismo; and I think we all do to an extend. This is especially the case here in the U.S. where many men are not as emotional by nature and would perceive an emotional tear as male weakness or even sissyness. So, what do we do? We step up the Machismo a couple of notches! There is another trick that we use to counter the portrayal of being sissy. Being emotional is a quality more often associated with females; which is why emotional men can be seen as being effeminate. The best way to battle that position and show our manliness is to demonstrate that we are better at getting the attention of the girls. A womanizer is not a sissy; and Giacomo Casanova himself was known to win the women’s affection by using his emotional nature. So, if our Machismo is not convincing enough we can always fall back on positioning ourselves as the Latin Lovers! Over the past 25 years I have spoken to thousands of Latinos. As a professional interviewer specializing in the U.S. Hispanic market, my job is to ask questions and to listen carefully. I have heard Latinos speak of their dreams and aspirations. Some have related stories of how they grew up in this country; often struggling to fit in. Others have spoken of what motivated their migration from Latin America; and of the difficulties, frustrations, and obstacles encountered in their quest to achieve that elusive “American Dream.” The majority does not feel accomplished. Why? The sad reality is that most Latinos, and especially new Latino immigrants, are bound to have a hard time achieving their dreams because they are often too focused on achieving financial success. Hispanic immigrants work very hard to succeed in their pecuniary dream quest. To “make it here” is very important to U.S. Latinos. Many came to the U.S. leaving behind their family, their friends, their land, and their culture. Coming here was a sacrifice. They endured that sacrifice in order to financially live a better life and, most importantly, to provide a better life for their children. In fact, most often when Latino parents are asked about their personal goals and ambitions they answer by saying that everything they do is for the purpose of providing a better life for their children. This tendency of self-sacrifice is especially prevalent in the Hispanic female. While Hispanics work very hard to achieve their American dream, many find it very difficult on their families. In many cases, it is the Latino male who arrives in the U.S. first. Their original thinking is to make enough money to return to their families. As time goes on, many men find it more feasible to bring their family to the U.S., while they continue their pursuit for financial independence. Even at this stage, many new immigrants continue with their plan of making enough money to return to their homeland. The reality, however, is that most immigrants end up staying. Once they live in this country for a few years, they start to release those bonds with their country of origin by strengthening ties with a new homeland. These new ties become stronger when new immigrants have children born in the U.S. The parents decide to stay for the sake of their children. Latinos try to succeed by working very hard. The men often have two jobs and find it difficult to spend quality time with their families. They often leave most of the child rearing responsibilities to their wives. While the traditional Hispanic mother always stayed at home and contentedly bore most of these responsibilities, the new Latina immigrant finds herself with very little time to raise her children. Latinas often complain that life in the U.S. is too fast and stressful, and that they lack the large support network of family and friends that exists in their homeland. They also see themselves forced to work out of the house, or motivated by the American culture to pursue a career of their own. In trying to do it all, their children end up suffering. The parents cannot do it all and supervise the children appropriately. The lack of parental supervision is a growing concern in the Hispanic community. There are many two-income and single parent households. These families often have difficulty supervising their children after school. Additionally, tired parent who are franticly fixing dinner at night and preparing for the next day may not be taking enough time out to inquire about their children’s activities and/or school issues. These Latino families lack the support offered by extended family members in their country of origin. Back “home” there was always a relative willing to assume the parental responsibilities if needed. To make things worse, many new Latino immigrants relocate to urban neighborhoods in big cities where crime, drugs, and other negative societal influences abound. In their country of origin Latinos often lived in smaller towns where everyone knew everybody else. Their children were protected there because everyone kept an eye on them. If your child got in trouble, the story would get to you through the Latino grapevine. I have heard many Hispanics tell me that they were devastated when they found out that their child was into drugs or involved in gang activities because they “had no idea.” Many blame the American society for their children’s problems and do not see themselves being at all responsible. The problem is that it is not in the true Latino nature to place all of their life emphasis on financial success. In fact, when I ask Hispanics about the most important things in life, they are likely to mention God, family, and health. 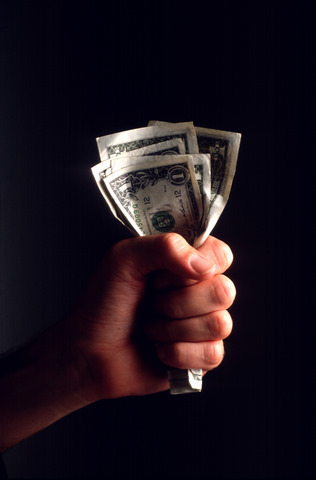 It is rare when a Latino says that money is the most important thing in life. What is ironic is that most Latinos seek financial success to be able to provide a better life for their children; and in doing so they end up placing their children in danger. At the end, most Latinos agree that success is not measured by material possessions; many prefer to measure success by the legacy they leave to their children. A legacy that is not necessarily a financial inheritance; but rather an appropriate upbringing based on respect, good morals, and proper values.